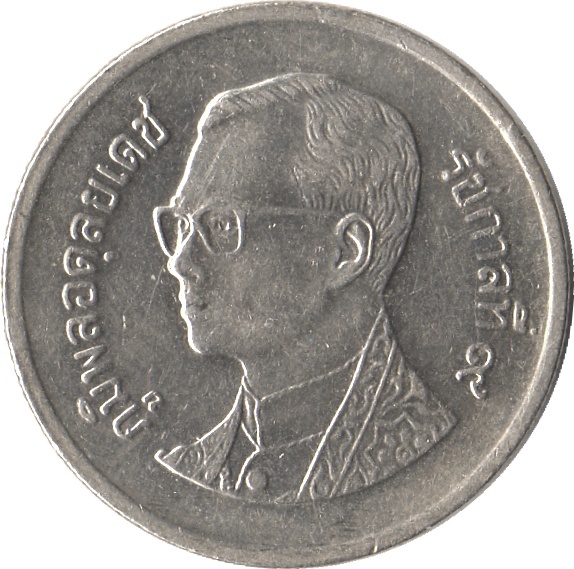 Bust of King Bhumibol Adulyadej, Rama IX, facing left. Monetized August 8th, 1986. 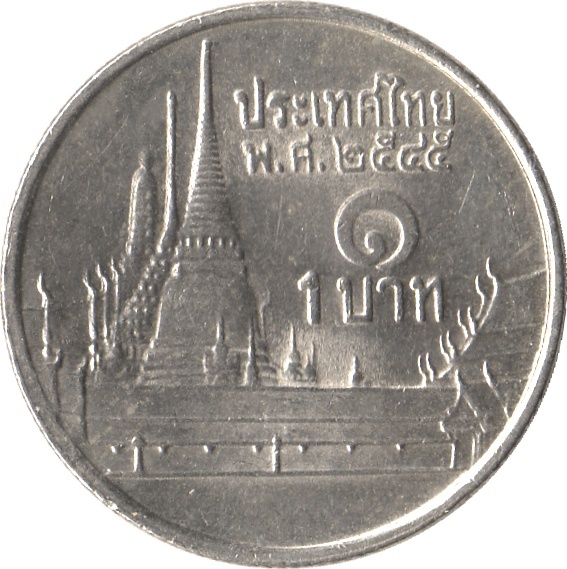 The first issue coins in 2529 have the short roof decorations on building on the right, but was corrected in the same year. So the 2529 with normal (long) roof decoration is the rare coin of this type. --- Coin dated 2542 struck on 3.7 grams copper planchet. PCGS #35515203, and coins struck with 3.78g and 3.92g copper also exist. --- Coin struck as uniface of obverse. PCGS #80704782. --- Coin dated 2543 struck as uniface of reverse. PCGS #80704781. --- Coin struck as uniface of obverse. NGC #4623205-005. --- Coin dated 2544 struck as uniface of reverse. NGC #4623205-006. - MTO Obverse/Obverse Medal alignment. NGC graded coin exists. --- Coin dated 2532 struck as medal alignment. PCGS #80717157. --- Coin dated 2542 struck as medal alignment. NGC #4536282-096. - lilely error coin, struck on 2.39g planchet (likely 50 Satang planchet) exists. 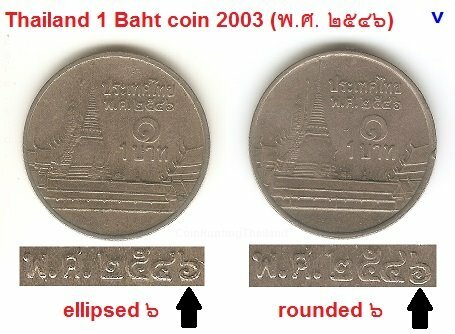 2532 struck on 50 Satang planchet exist. Ref#2 : Data in http://www.coinscan.com/for/tha.html written that coins dated 2548 and 2550 were minted by Royal Canadian mint.